Beowulf — the new Superhero | Tut. Sulk. Tut. I enjoyed it too, especially the 3-D stuff. Grendel was a brilliant monster – completely chaotic. I knew nothing about it going in, so when the credits came up and I saw Ray Winstone’s name I was thinking, who did he play? 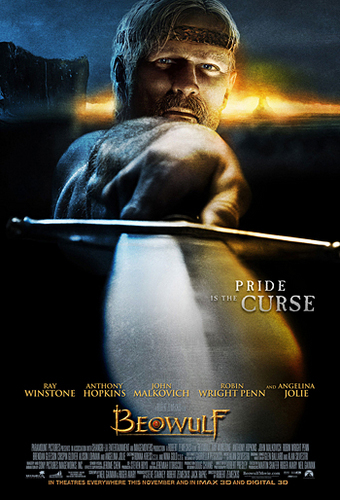 I had watched the whole thing thinking Beowulf was Sean Bean’s digital avatar…. Hey Nadine – just saw the notice in today’s SBP. Congratulations on landing the Arts gig; was bound to happen and best of luck with it! You can say that again – if only it paid! You can usually tell how busy I am by the regularity (or otherwise) of posts on my blog – there’s probably some kind of inverse correlation that could be drawn up between the amount of posts made and real work I’ve got to do at any given time. That said I’m going out of my way to try and write more lately – I have plenty of topics I want to cover but just need to sit down and churn them out! Just to go back on the topic of Beowulf – I’ve not seen it yet but I have to laugh when I watch the trailer… surprise surprise, Ray Winstone playing a cockney yet again!